Mark Jason Weston. I'm 45 years old, living in Philadelphia. I'm an image junkie and I used to write poetry. 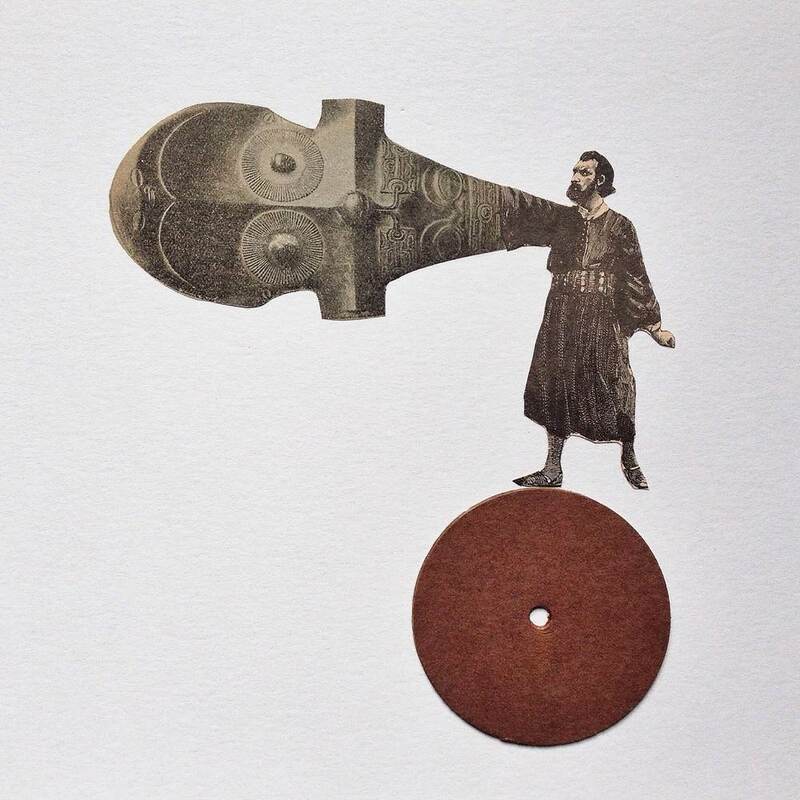 My collages are a kind of visual translation of bits of poetry that I still write in my head. Through poetry, again. It informs a lot of what I do when I try to make an image. I want to provoke a bit, make you laugh, feel nostalgic. I got to meet Howard Hussey when I catalogued a large chunk of his extensive book collection. He was an assistant to Joseph Cornell. Now I own a few books on Cornell's work. And John Stezaker and Ray Johnson I can look at every time. Not knowing what image will be next that I can be pleased with, that does what I want it to do. What do I struggle with? I want each collage to have multiple meanings. In the end an image should hold the attention of the viewer. I want to make much larger images collaboratively, or on my own. I'm also going smaller with a series of paper collages on postal stickers for my neighborhood. I want what I do to continue to be seen by a wider audience. I want it at street level as much I want it in more formal spaces.